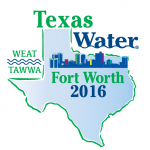 Texas Water 2016 – Fort Worth | Alan Plummer Associates, Inc.
Texas Water will be in our backyard this year, April 19 – 22, at the Fort Worth Convention Center! APAI will have two local artists, Benjamin Vincent and Richard Dominguez, on hand to capture the best of you in a caricature. Visit us at booth #901, sit down, relax and enjoy getting drawn!